The EPA began preparing its report on hydraulic fracturing and the Safe Drinking Water Act in 2000, after an Alabama court forced the agency to investigate fracturing-related water contamination there under the Act. While the EPA was still working on its report, legislation was being crafted to exempt hydraulic fracturing from the Safe Drinking Water Act. To lessen the pressure on the report's findings, the EPA sought an agreement with the three largest hydraulic fracturing companies, including Halliburton, to stop using diesel fuel in fracturing fluids. The EPA released its study in 2004, and was later criticized. One of the report’s three main authors, Jeffrey Jollie, an EPA hydrogeologist, cautioned that the research had been misconstrued by industry. The study focused solely on the effect hydraulic fracturing has on drinking water in coal bed methane deposits, typically shallow formations where gas is embedded in coal. It did not consider the impact of above-ground drilling or of drilling in geologic formations deep underground, where many of the large new gas reserves are being developed. Further, buried within the 424-page report are statements explaining that fluids migrated unpredictably -- through different rock layers, and to greater distances than previously thought -- in as many as half the cases studied in the United States. The EPA identified some of the chemicals as biocides and lubricants that “can cause kidney, liver, heart, blood, and brain damage through prolonged or repeated exposure." It found that as much as a third of injected fluids, benzene in particular, remains in the ground after drilling and is “likely to be transported by groundwater." A few months after the report’s release, the 2005 Energy Policy Act was passed, exempting the practice of fracking from the Safe Drinking Water Act, based in part on the EPA study, leaving regulation to states. FracFocus is an industry fracking disclosure site, where companies report drilling practices. In April 2013 a study by a new Harvard University policy initiative stated that "the FracFocus.org website has "serious flaws" as a means of disclosure for hydraulic fracturing chemicals used in oil and gas production, and state governments shouldn't be relying on it." The study went on to say that FracFocus's one-size-fits-all approach does not account for "different state requirements and prevents many kinds of searching and gives drilling companies too much leeway to miss deadlines or withhold information as trade secrets." The federal Clean Water Act regulates the treatment and discharge of shale gas wastewater into surface water bodies. Under the Act, facilities must obtain permits if they intend to discharge shale gas wastewater or any of its by-products into a surface water body. These permits contain limitations on pollutants that may be discharged in the wastewater. Federal regulations prohibit the direct discharge of wastewater pollutants from natural gas production. Many hydraulic fracturing operators therefore send wastewater to treatment facilities that are authorized to discharge under Clean Water Act permits issued by the states under authority delegated by the EPA. A 2012 NRDC report note that "the Clean Water Act regulatory program is not comprehensive; for example, there are no pretreatment requirements specifically for shale gas wastewater, and discharge standards are out of date," allowing for discharge of pollutants "in amounts and concentrations inadequate to protect water quality." States may also establish requirements for the discharges that are stricter than the federal standards. The federal Safe Drinking Water Act (SDWA) regulates the underground injection of wastewater. Renee Lewis Kosnik, Oil and Gas Accountability Project, 2007 Report.All underground injections are prohibited unless authorized under this program. Under the program, the EPA groups underground injection wells into five classes, with each class subject to distinct requirements and standards. Because of a regulatory determination by the EPA not to classify shale gas wastewater as “hazardous”, it is not required to be injected into Class I wells for hazardous waste, and is therefore often injected into Class II wells, which are subject to less stringent requirements than Class I hazardous waste wells. Either states or the federal EPA can take primacy in overseeing the program. The injection of fluids for the actual hydraulic fracturing process itself is exempted from federal regulation under the Safe Drinking Water Act. Therefore, if shale gas wastewater is managed or treated for the sole purpose of reuse for further hydraulic fracturing, it is not subject to federal regulation, although states can have their own regulations that apply to the reuse of shale gas wastewater. Oil and gas wastes are currently exempt from the federal Resource Conservation and Recovery Act (RCRA), which generally regulates the handling and disposal of waste. Due to this exemption, natural gas operators transporting shale gas wastewater are not considered to be transporting or receiving “hazardous” wastes, and thus do not need to meet the cradle-to-grave safeguards established by RCRA regulations. In the absence of federal regulations, states regulate the handling, storage, and transport of shale gas wastewater, including residuals. Some states allow for the storage or disposal of shale gas wastewater in open impoundments. There has been struggles about the power of states versus municipalities regarding fracking waste storage: Pennsylvania's Act 13, for example, limits the ability of municipalities to enact their own regulations regarding the siting of impoundments; several municipalities are challenging the law in court. The land application of shale gas wastewater is also regulated primarily at the state level. Some states, such as Pennsylvania, issue permits authorizing land application of fracking waste, such as for roadway prewetting, anti-icing, and deicing purposes, as long as the brines meet certain pollutant concentration limits. In some other states, however, the road spreading of shale gas wastewater is prohibited. The Environmental Protection Agency (EPA) is finalizing air pollution standards for natural-gas drilling. The standards were proposed in summer 2012, issued on April 18, 2012, and will be fully effective in January 2015. The rules would require all new and any modified wells to use equipment to capture fumes that escape in the production and processing of natural gas (it will not apply to existing wells not undergoing modification, millions of old wells that may leak, or transmission and distribution pipelines). Fumes to be captured include methane, a potent GHG and the main component of natural gas, and volatile organic compounds, which contribute to ground-level ozone (smog). The regulations will also limit emissions from compressors, oil storage tanks and other oil-and-gas sector equipment. Complying with the mandates is projected to lower methane emissions by about 26 percent and toxic air emissions by 30 percent, saving the gas industry $11 million to $19 million a year because drillers would be able to capture and sell the methane that is currently being burned off, or flared. The air pollution rules include a requirement that oil and gas companies notify the U.S. EPA at least two days before they "frack" a well, which became effective on October 8, 2012. The underlying emissions rules for gas drilling operations were last modified in 1985, and they apply only to leak detection at new and upgraded gas processing plants. Various reports and studies have concluded that the reduced CO2 emissions at gas plants will be negated if methane leakage during the gas production life cycle is not minimized. The Environmental Defense Fund (EDF) has calculated that methane venting of 3.2 percent represents a crucial threshold - beyond that it found new combined cycle gas power plants no longer provide greenhouse gas benefits over new coal plants. In May 2012, the Environmental Protection Agency released draft underground injection control program permitting guidance for Class II wells that use diesel fuels during hydraulic fracturing activities. EPA developed the draft guidance to clarify how companies can comply with a law passed by Congress in 2005, which exempted hydraulic fracturing operations from the requirement to obtain a UIC permit, except in cases where diesel fuel is used as a fracturing fluid. While the guidance undergoes public notice and comment, decisions about permitting hydraulic fracturing operations that use diesel fuels will be made on a case-by-case basis. In January 2013, the Interior Department restarted the process, announcing it was drafting a new proposal. The new language incorporated several industry requests, including: exempting acidizing, a process similar to fracturing that is used in California's Monterey Shale; making it easier to withhold fracturing fluid ingredients as trade secrets; and adopting the industry-backed FracFocus website for disclosure of chemicals. According to an EnergyWire review of White House visitor records, President Obama's top energy adviser Heather Zichal met more than 20 times in 2012 with industry groups and company executives lobbying on the proposed BLM rule, including the American Petroleum Institute (API), BP, Devon Energy, and ExxonMobil. The new proposal allows BLM discretion to exempt states from the new rules if the BLM determines that a state’s rules are adequate. Final federal rules are expected in late 2013. A bill introduced by House member Rep. Mark Pocan (D-Wis.) in December 2014 would prohibit fracking for oil or natural gas on federal land. In March 2015, the Obama Administration announced it was going to tighten fracking regulations that would allow fracking to continue to help to protect water sources. The rules, which are to go into effect in June 2015, will force require oil and gas companies to disclose the chemicals they use in fracking as well as put up barriers to protect groundwater. The 2012 Earthworks Action report, "Breaking All the Rules: The Crisis in Oil & Gas Regulatory Enforcement," examined enforcement data and practices in Pennsylvania, Texas, Ohio, New York, New Mexico, and Colorado. The study found that more than half of wells go uninspected each year, adding up to hundreds of thousands of active oil and gas wells; companies that are found in violation are rarely penalized; and penalties are so weak that it is cheaper for violators to pay the penalty than comply with the law: the total value of financial penalties in each state studied is less than or equivalent to the value of the gas contained in one single well. About 10 percent of the pipelines carrying natural gas or other hazardous chemicals used in the fracking process fall under federal regulatory auspices. The 2012 Government Accountability Office, "Collecting Data and Sharing Information on Federally Unregulated Gathering Pipelines Could Help Enhance Safety," estimates 240,000 miles of U.S. gas/oil pipeline are not regulated by the U.S. Pipeline and Hazardous Materials Safety Administration, as the federal agency does not oversee pipeline that is not within 220 yards of at least 10 homes. Much of the pipeline going through more rural areas has never been seen by any federal, state, or local inspectors. For pipeline that is not regulated, natural gas and oil companies using the pipelines are not required to report any accidents, injuries, fatalities, or dangerous releases from them. As of February 2012, only four of 31 fracking states have significant drilling rules, according to Environmental News Service. As of 2012, nine states and the U.S. Bureau of Land Management (for federal lands) have various chemical disclosure rules: Arkansas, Colorado, Louisiana, Michigan, Montana, Ohio, Pennsylvania, Texas, and Wyoming. Most of the rules allow exclusions for "proprietary trade secrets," similar to "model legislation" crafted by ALEC and sponsored within ALEC by ExxonMobil, which runs a major oil and gas operation through its subsidiary, XTO Energy. Colorado is the only state that requires detailed information on the names and concentrations of the individual chemicals used; the eight other states either do not require companies to report concentrations or only require them to report concentrations of hazardous materials. Environmental groups have petitioned the EPA for disclosure of fracturing chemicals through the Toxic Substances Control Act (TSCA). Many companies report the chemicals used through FracFocus, the industry's "hydraulic fracturing chemical registry website." A 2012 analysis of data by Bloomberg found that energy companies failed to list more than two out of every five fracked wells in eight U.S. states from April 11, 2011, when FracFocus began operating, through the end of 2011. 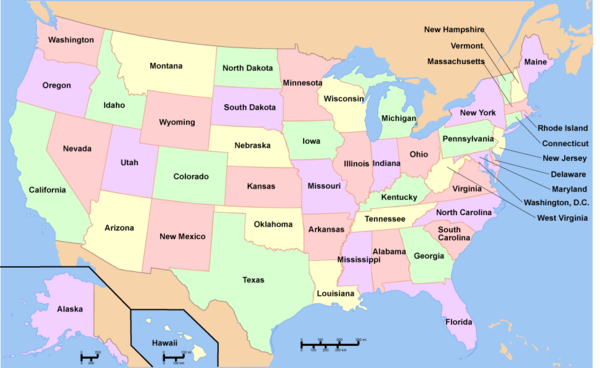 The eight states were Arkansas, Colorado, Louisiana, Montana, Oklahoma, Texas, Utah, and Wyoming. Critics say the gaps reveal shortcomings in the voluntary approach to transparency on the site, which has received funding from oil and gas trade groups and $1.5 million from the Department of Energy. According to OpenSecrets, the oil and gas industry had 786 registered lobbyists in 2011 that spent $148 million on lobbying. ↑ Abraham Lustgarten, "Buried Secrets: Is Natural Gas Drilling Endangering U.S. Water Supplies?" ProPublica, Nov. 13, 2008. ↑ "HYDRAULIC FRACTURING: FracFocus has 'serious flaws,' Harvard study say" Mike Soraghan, "E&E Publishing Service", April 24, 2013. ↑ 5.0 5.1 5.2 5.3 5.4 5.5 5.6 5.7 Rebecca Hammer, Jeanne VanBriesen, and Larry Levine, "In Fracking's Wake: New Rules are Needed to Protect Our Health and Environment from Contaminated Wastewater," Natural Resources Defense Council, May 2012 report. ↑ "The Oil and Gas Industry’s Exclusions and Exemptions to Major Environmental Statutes,"
↑ 9.0 9.1 9.2 John Broder, "U.S. Caps Emissions in Drilling for Fuel," New York Times, April 18, 2012. ↑ Mike Soraghan, "Drillers suspicious of EPA's new frack notification," E&E, October 9, 2012. ↑ Peter Mantius, "'Frackademia' – MIT’s Ernest Moniz, Obama’s Top Candidate for Energy Secretary, Oversees Pro-Industry-Funded Research," DC Bureau, February 21, 2013. ↑ "New rules could limit methane emissions’ effects on the atmosphere" Washington Post, October 17, 2014. ↑ Mike Soraghan "White House huddled with industry before changes to BLM fracking rule," E&E, April 12, 2013. ↑ Matthew McFeeley, "Obama Administration Caves To Fracking Industry in New Proposed Rules," NRDC, May 16, 2013. ↑ "Dem bill would ban fracking on federal land" Timothy Cama, The Hill, December 11, 2014. ↑ "Obama administration unveils new fracking rules" Dave Jackson, USA Today, March 20, 2015. ↑ Government Accountability Office, "Collecting Data and Sharing Information on Federally Unregulated Gathering Pipelines Could Help Enhance Safety," GAO-12-388, March 22, 2012. ↑ 32.0 32.1 Government Accountability Office, "Collecting Data and Sharing Information on Federally Unregulated Gathering Pipelines Could Help Enhance Safety," GAO-12-388, March 22, 2012. ↑ Cora Currier, "ALEC and ExxonMobil Push Loopholes in Fracking Chemical Disclosure Rules," ProPublica, April 24, 2012. ↑ Mike Soraghan, "HYDRAULIC FRACTURING: White House delaying BLM rule at industry's request," E&E, June 22, 2012. ↑ "Fracking Hazards Obscured in Failure to Report Wells (New York)," Bloomberg News, Aug. 18, 2012. ↑ "Oil & Gas Industry Profile, 2011," OpenSecrets.org, accessed April 2012. This page was last edited on 26 March 2015, at 19:41.